He missed a good chunk of the first half of the season. He came back about two weeks before the All Star break, and stunk up the joint until the All Star game. After the break, he seemed to find his swing, and he suddenly looked like a good player once again. If you think that’s similar check out what happened after the break. 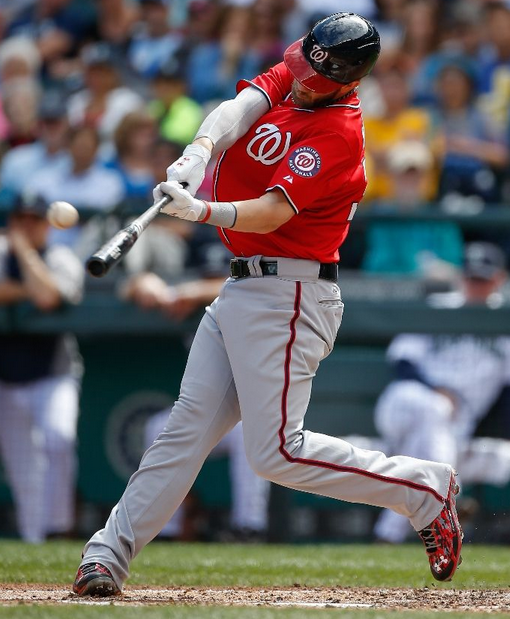 In 2013, Bryce came back from the break and hit .283/.366/.453. And this year? From the All Star break up through Sunday he is hitting .288/.364/.473. The power is slightly higher (thanks to that two HR display) but it’s pretty close to the same thing as last season. Bryce is back, it seems, and he’s doing just what he did the second half of last year. This is a good thing. What remains to be seen is if the almost 300 additional plate appearances he had this year, plus however many he gets this month, will help make him a better hitter, and make those numbers go even higher. That would be a very good thing, but it isn’t necessary to make him good – that .837 OPS he’s had over the last month and a half is plenty good. If he could manage that for the whole year it would already put him in the top 20 in the NL. But the Nats don’t need him to manage that for the whole year at this point, they just need him to do it for the next two months. And considering his age, recent injury history, and missed time, there’s a good chance he’ll at least that good, if not even better. That would be something real special to see.